For more than a hundred and fifty years, metal amalgam fillings were the standard in general dentistry practice. But advances in technology have given us a better option. Santa Monica dentist Dr. Ana Brightleaf recommends replacing old amalgam fillings with safer and more aesthetically pleasing porcelain fillings. 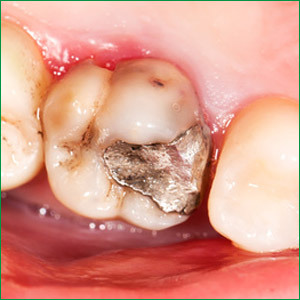 What’s wrong with metal fillings? Aside from the unsightly appearance of metal fillings in your mouth, amalgam fillings also contain small amounts of mercury that can put your health at risk. Mercury toxicity has been linked to immune deficiency diseases, such as multiple sclerosis, seizures, muscle spasms, and fibromyalgia. Although studies have not yet linked dental fillings containing mercury to increased development of these diseases, we practice mercury-free dentistry for the well-being of our patients. After your amalgam fillings have been safely removed, we will prepare your teeth for porcelain inlays or composite fillings and restore your smile with durable, natural looking porcelain. To experience the benefits of replacing your metal fillings, please call (310) 626-4106 today to schedule your consultation with dentist Dr. Ana Brightleaf. Her holistic approach to dentistry will keep it natural.